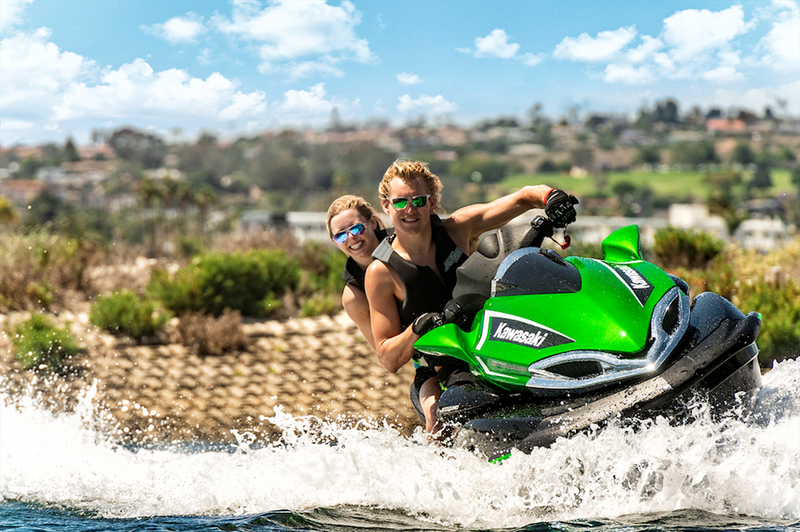 From the plush-and-deluxe Jet Ski Ultra 310LX to the exciting stand-up Jet Ski SX-R, Kawasaki offers a Jet Ski model for every personal watercraft (PWC) fan. 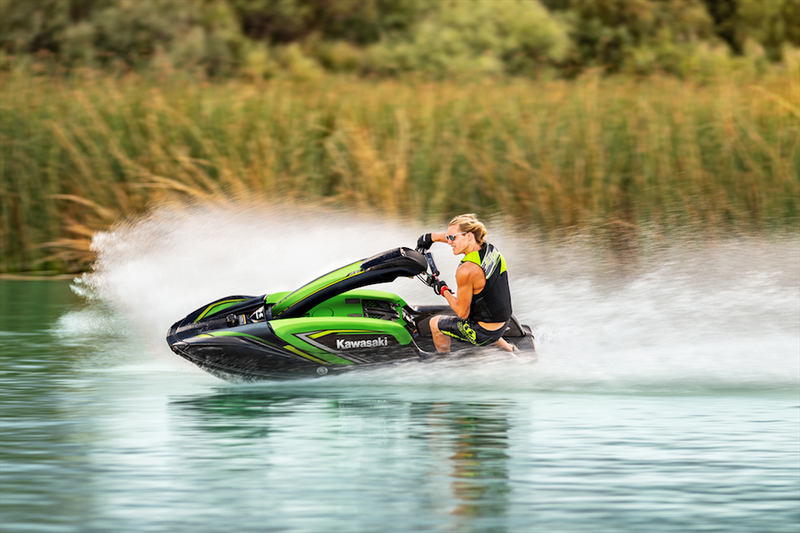 Kawasaki may not have invented the personal watercraft, but it may have created the sport through its relentless promotion of its original Jet Ski models in the 1970s and 80s. 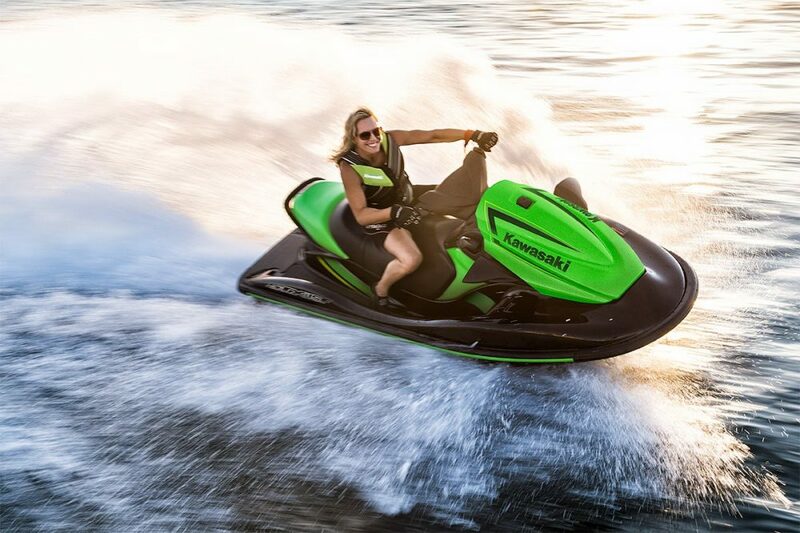 Today Kawasaki offers a range of personal watercraft that compete with Sea-Doo and Yamaha WaveRunner on price and performance, highlighted by its three-passenger Jet Ski Ultra series and the stand-up Jet Ski SX-R model. The premium Jet Ski Ultra line includes five models that share an 11-foot 1-inch deep-vee (22.5 degrees of deadrise) hull and that offer a smooth ride, precise handling, three-passenger seating, and a five-position adjustable handlebar. Storage capacity is a commodious 56 gallons (bow compartment, glove box and under-seat combined) and fuel capacity is a class-leading 20.6 gallons. All three models are powered by the same fuel-injected, double overhead cam 1,498cc (1.5-liter) engine. 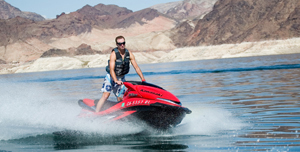 Reverse is engaged with a manual lever to port – Kawasaki does not offer the electric reverse/braking control found on Yamaha WaveRunner and Sea-Doo models. The entire lineup is also covered by a 12-month limited warranty with an optional 12, 24, 36 or 48-month Kawasaki Protection Plus plan available. Flagship of the Jet Ski line, the Ultra 310LX boasts a 310-horsepower supercharged engine and an on-board audio system. The flagship Jet Ski Ultra 310LX model combines performance and luxury. The engine is equipped with a roots-type Eaton Twin Vortices Series (TVS) supercharger and pumps out 310 horsepower, good for a top speed near 70 MPH. This model also features a deeply bolstered touring seat with heat-reflecting vinyl cover, electric trim, a power-reducing “eco” mode to save on fuel, no-wake mode, and the JETSOUND® audio system, which allows riders to listen to music via the 2x20-watt rated amplifier and 30-watt speakers. For 2019, the Ultra 310LX is available in Ebony/Candy Lime Green with a MSRP of $17,999. The Jet Ski Ultra LX offers most of the luxury and convenience of the 310LX without the supercharged power and the associated price tag. The Ultra LX is powered by a normally aspirated version of the same 1.5-liter engine, rated at 160 horsepower and good for a top speed of about 55 MPH. This engine still has plenty of power for pulling tubers, and will also deliver much better fuel economy, and thus much more range, than the supercharged engine. It is also not equipped with JETSOUND. The 2019 Ultra LX is available in Ebony/Metallic Tungsten Gray with a MSRP of $11,199. The Jet Ski Ultra 310R model is a no-apologies race replica – if you want to go really fast on open water this is a good tool for the job. It features the same 310-horsepower supercharged engine as the 310LX model and is equipped with a non-adjustable motocross-style electro-polished stainless steel handlebar and a narrow race-style seat covered in grippy vinyl. It is not equipped with JETSOUND. The 2019 Ultra 310R model features an Ebony/Lime Green color scheme with a MSRP of $16,299. The Jet Ski Ultra 310X and Ultra 310X SE models are also equipped with the 310-horsepower supercharged engine but offer fewer features, and a lower price, than other Ultra models. The Ultra 310X ($15,299) has a flat, three-passenger bench seat while the 310X SE ($15,799) has a bolstered three-up seat and more complex paint and graphics. Both models are equipped with electric trim, a five-position adjustable handlebar, cruise control, no-wake mode, and eco mode. The 2019 Ultra 310X is available in Ebony/Sunbeam Red and the Ultra 310X SE comes in an Ebony/Candy Steel Furnace Orange scheme. 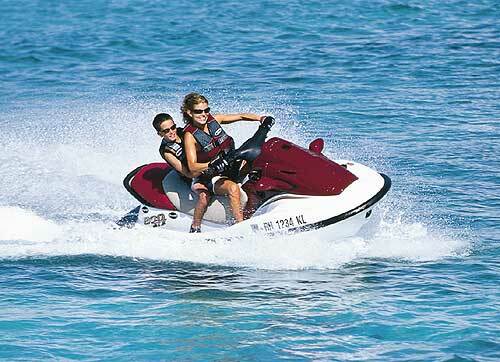 Although the design is a bit dated, the Jet Ski STX-15F offers outstanding performance for the price. 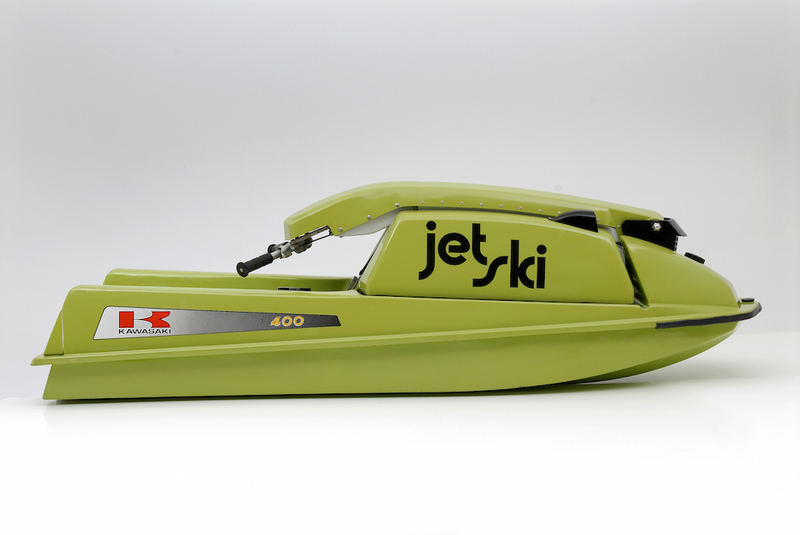 For pure bang for the buck it’s hard to beat the venerable Jet Ski STX-15F model. Priced at just $9,699, the STX-15F is powered by the 160 HP horsepower version of the 1.5-liter Kawasaki engine and will easily clear 60 MPH in top speed, a good 10 MPH faster than other models at this price point, the 90-horsepower Sea-Doo Gti-SE and 130-horsepower Yamaha WaveRunner EX Deluxe. Those models, however, are a good decade ahead of the STX-15F in terms of design, offering electronic reverse control and more stable, comfortable hulls. For 2019 STX-15F is available in Ebony/Lime Green. 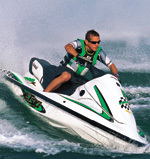 The Jet Ski SX-R offers a modern interpretation of the classic stand-up Jet Ski experience. 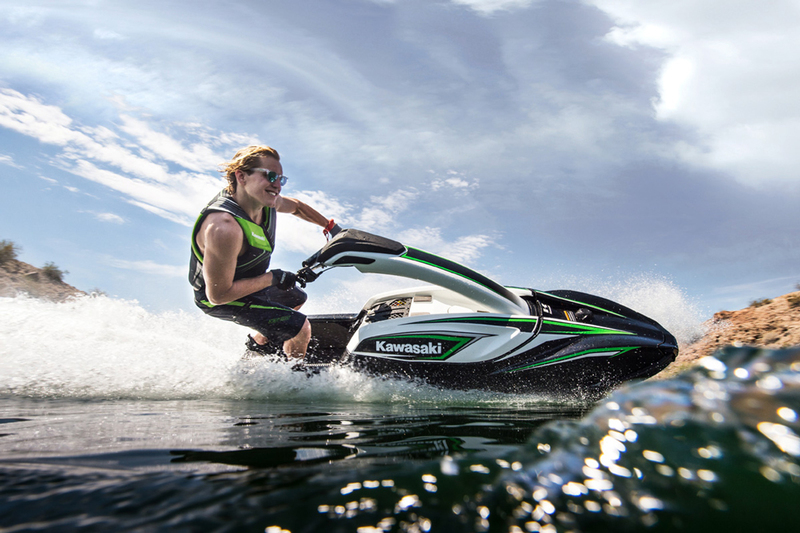 Finally, Kawasaki offers fans of the stand-up PWC its Jet Ski SX-R. Longer, wider and much more powerful than previous Jet Ski stand-up models, the SX-R makes the stand-up experience fun and accessible to those without a competition license. The 2019 Jet Ski SX-R features a new Ebony/Lime Green colorway and a $9,999 MSRP. 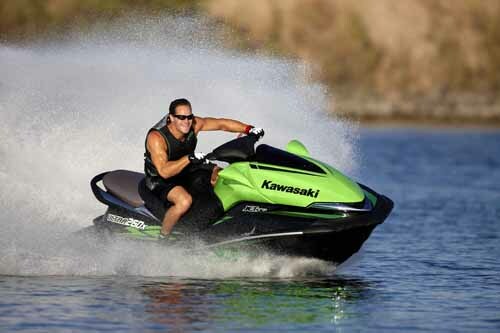 See all Kawasaki listings, and read our feature on the history of Kawasaki's Jet Ski.